My partner and I discussed adopting fairly early on in our relationship and talked about how much we would like to do it. We are not religious but I guess we suffer from that middle class, privileged background angst that can drive you in a similar direction. Our adoption assessment was straightforward (our lives were labelled ‘perfect’) and we were matched quickly with our darling boy who was 1 at the time. We had a still born baby girl following IVF and wanted to do something worthwhile instead. Also my husband is adopted. Mainly we wanted a family. As part of National Adoption Week we asked for contributions in the form of a list of questions and answers supplied by our children on the subject of us - their parents. Why is she in the buggy? The first time it happened I really felt her pain.It was her first play date ever and her new friend ran confidently around picking up toys and evaluating them for fun value. My daughter ran ahead delightedly pointing out her possessions and waiting for approval. Suddenly the friend let out a shriek ; my daughter had proudly held up her tatty old half-perished dummy which she wouldn't go to sleep without, the one she arrived with that made her feel safe. “Oh no”, said her suddenly much more grown-up friend. “That's for babies; you shouldn't have that”. The friend eyed her suspiciously and my daughter flushed with shame. Confused she looked to me and although I made light of it, the rest of the play was not relaxed. After the friend left she kept reliving that moment of shame. When she went to bed I saw her really struggle with her need for the dummy and I told her it was ok to have it if she needed it. “She thinks I'm a baby,” she said through tears.The second time we were on holiday and I was more prepared.Having made firm friends with a little girl of a similar age, they were giggling away, thick as thieves until we got up to leave and our daughter climbed into her worn out old buggy. The other girl was speechless and no longer laughing. 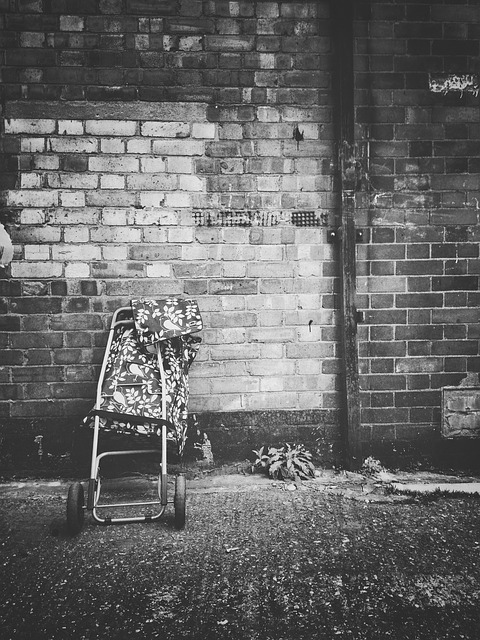 She turned to us - the adults with whom she now clearly felt more affinity - and enquired, “Why is she in a buggy? She's not a baby.” Once again our daughter flushed with shame. Quick as a flash I bent down, and in a whisper said, “Well, first of all - between you and me- this isn't a normal buggy - it's magic and takes her to special magic places - that’s where we’re off to now actually; and secondly we're staying a lot further away than you are and it's very late for little girls to be up now.” I’m not sure she believed me but it stunned her into temporary silence and away we went, but all the way home she kept repeating, “she didn't like the buggy did she? She didn't like the buggy? You had to explain".It made me sad and then it made me a bit angry. What is the rush anyway?What if she's a little slower in shedding some of the comforts of infancy? Why does it matter? Why is society so geared up towards moving on to the next thing as quickly as possible? Couldn't we all benefit from taking a bit more time over things?Her childhood already seems to be going by so fast and I for one am in no rush to push her even faster through it. She can take as much time as she wants. I’ve always thought of myself as a happy-go-lucky type and the first two words that sprang to my friends’ lips when asked to describe me today were “funny” and “laid back”. Of course like everyone I am prone to be unfunny and not at all laid back at times, but generally I like to think they’re right.My own memories of looking after my sister’s children are ones purely of skipping and singing silly songs and laughing a lot.So when our daughter turned to my wife last week and asked her, “why doesn’t Daddy smile?”, at first it made me laugh and raise my eyes skyward, shaking my head in the manner of “oh, the things that children say”, but after a while it shocked me and has given me real pause since.In all our family pictures, there I am mucking about, pulling funny faces, laughing and smiling. But pictures capture a single moment and do not tell the story or indeed paint a thousand words. The camera can and does, maybe not lie in that moment, but perhaps cast a concealing sheen over the truth.And so I have revisited my role as an Uncle and dredged up other not so glorious moments where I was impatient, grumpy, angry even; a lot of them. And revisited, taking off my rose-tinted Daddy specs, how I have been of late as a father. Impatient, grumpy, angry even. It’s trying dealing with a small person developing a will of their own, stepping out of the era of complete malleability and obedience and into the “No!” era. I’m not coping well with that. The first “No!” was funny; the ten thousand following, not so much.I am ok with being a good-enough parent, but “Why doesn’t Daddy smile?” isn’t good enough. Not by a long way.I’m in danger of being remembered as the Dad that never smiled, the grumpy one, the frustrated one, the no-fun one, the one that shouted, the one that had lines etched deep into their ageing face that in others were laughter lines but in him ones of fatigue and misery.And so I resolved to make a conscious change. I came home from work today and instead of flopping down exhausted onto the sofa, instead of nodding absently, not really listening to the chattering child, instead of saying “Bed. Now.” in a raised voice, I spent 30 minutes playing hide and seek. My hiding places were ingenious and she just hid in the same place each time, so I won hands down, in case you were wondering. ; she might be only 3 but she’s just rubbish at this game. But we laughed when we found each other, we laughed when I caught her peeking while she was counting to ten, we laughed when she found me trying unsuccessfully to fold my six foot frame into her minute play tent. We laughed a lot. We tired each other out. And when I said “time for bed”, we stopped our game and we smiled at each other. For a long time. Nobody captured that moment, but it will be etched in my brain for the rest of my life. And I hope that image of my smiling, loving face might, just might, stay with her too.